Holiday Parties at Marina Cafe! 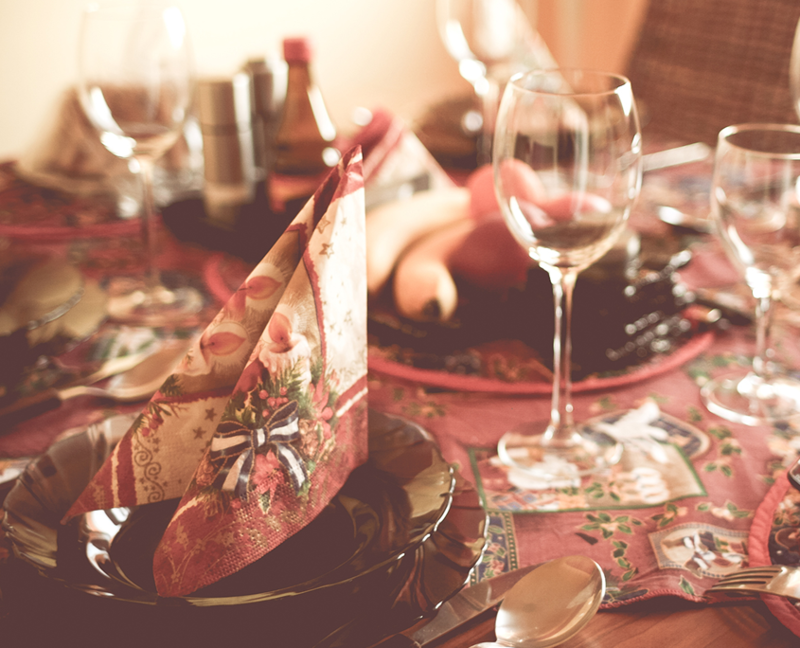 Planning a gathering for your holiday celebration? 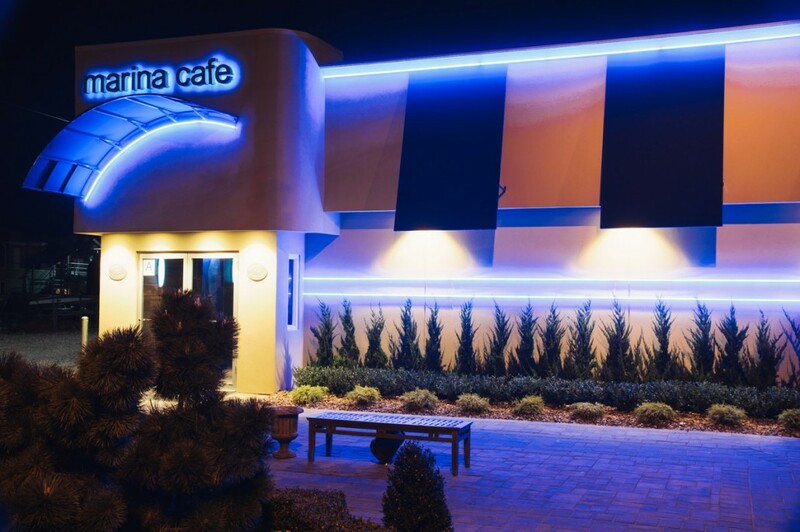 Marina Cafe is offering a special Prix Fixe menu for groups looking to celebrate with family, friends, co-workers or whomever this holiday season! Just $32.00* per person, or $42.00* with unlimited wine & sangria! 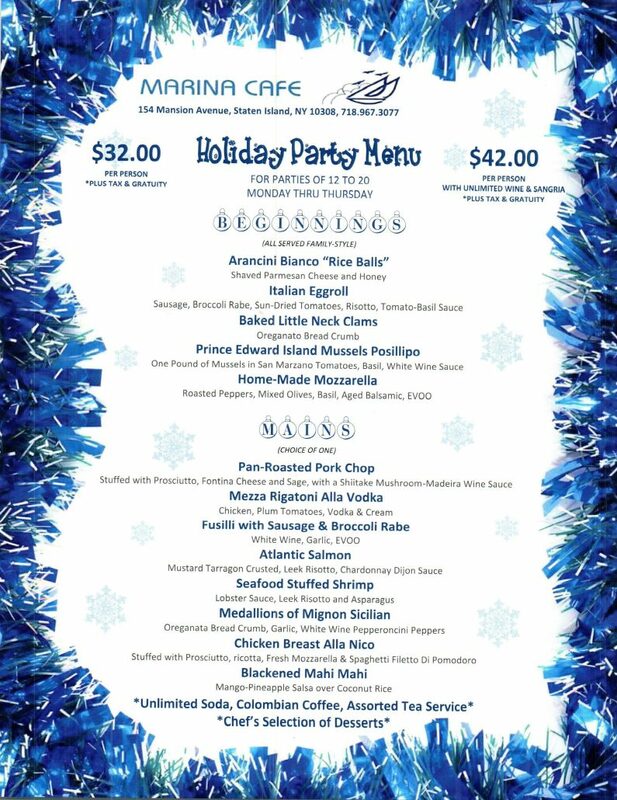 The holiday season is here and we invite you to come celebrate with us by hosting your holiday party at the Marina Cafe, the best restaurant in Staten Island. We love the hustle and bustle of the holidays and we know how draining it can be. 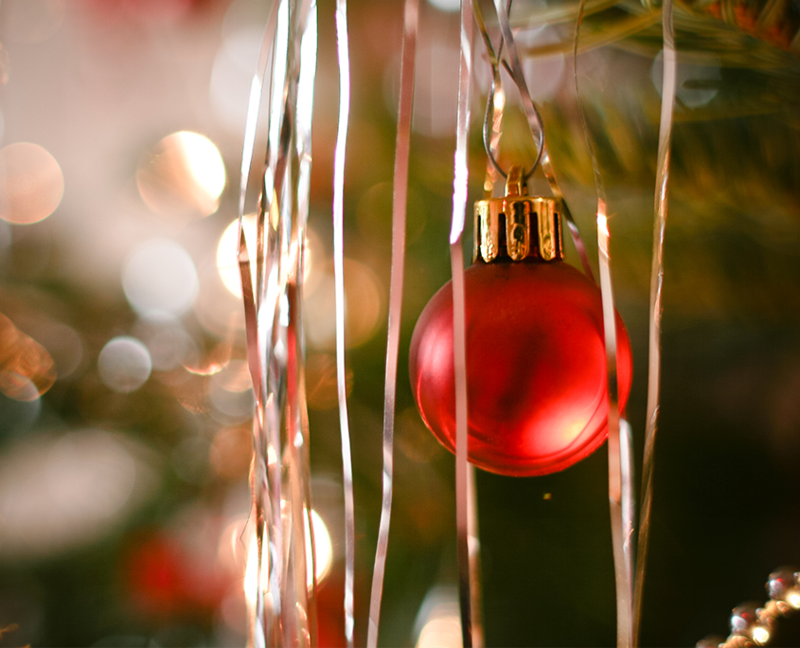 Between shopping for the perfect gifts for family and friends, the never-ending process of decorating, traveling and the constant excitement of holiday gatherings, it’s hard to get everything done and still enjoy yourself. Let the Marina Cafe help you host the perfect holiday party so you can cherish your special evening with those people you love most. Our special holiday party menu is for parties of 12-20 guests on Monday through Thursday and starts at $32 per person (includes unlimited soda but excludes alcohol) and $42 per person (including unlimited wine and sangria). These prices do not include tax and gratuity. For dessert, guests will enjoy a chef’s selection of desserts and unlimited Colombian coffee and assorted teas. For more than 35 years, the Marina Cafe has been honored to have shared the special holidays with Staten Island. This year come and celebrate with us! Having a holiday party at your home or other unique location? You can order party-sized portions of your favorite Marina Cafe offerings on our Home Catering menu! Just let us know what you’d like to order, and we’ll prepare it for the day and time of your choice for pickup.